The air was electric in the Sheraton Hotel Ballroom in Parsippany, New Jersey. Democrat Mikie Sherrill—a former Navy pilot, ex-prosecutor, and mother of four—had just won a seat in the U.S. House of Representatives in a district held by Republicans for the last 30 years. It was a massive upset and Ben Tabor ’13 had a front-row seat. 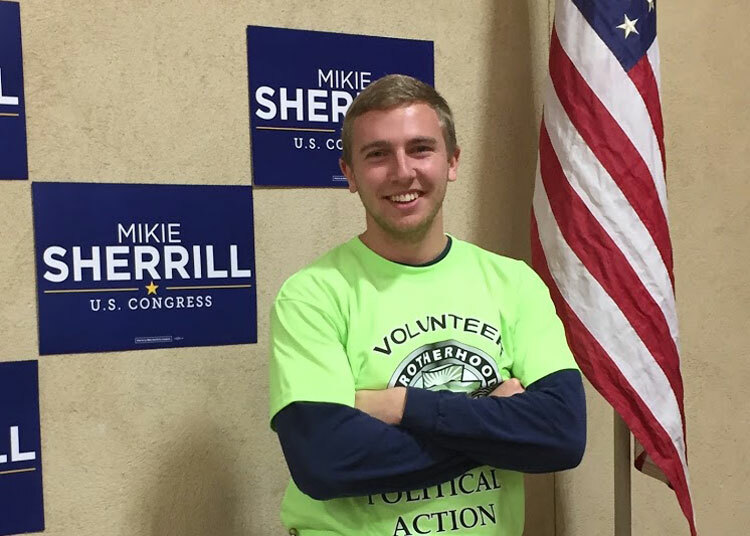 “Our district was the biggest swing of all the districts in the country at +32 percent,” said Tabor, who volunteered full-time on Sherrill’s campaign. She won by 13 percent. Tabor was inspired by Sherrill’s run. A true Gettysburgian, he didn’t sit on the sidelines and watch, but took action. He saw an opportunity to grow through hands-on experience, challenge his own assumptions through interactions with constituents, and be a part of the change he wished to see in the world. That drive to make change through a political campaign was seeded while a student at Gettysburg College. Tabor was inspired by a trip taken to Washington, D.C., in his junior year through an Eisenhower Institute semester-long program. “We met with a campaign consultant, and I knew immediately that working on a campaign was something I wanted to do one day,” said Tabor. That day became the lead-up to the midterm elections of 2018. Tabor worked across all areas of the Sherrill campaign, including in fundraising, phone banking, research, policy, and ultimately, doing constituency work with veterans and unions. He also knocked on a lot of doors. Canvassing for Sherrill, Tabor had the opportunity to meet people he wouldn’t have otherwise. Sometimes, they didn’t agree. However, Tabor says, he could always find common ground and connect across disagreements, particularly when talking about his candidate. “Sherrill is a veteran, a prosecutor, a mom. She used to ride a motorcycle. She’s got so many levels from which to connect with people,” explained Tabor. “When I knock on her behalf, I may meet a veteran who doesn’t agree with her political stances, but we can talk about the value of military service to this country. Sometimes, connecting with people is as simple as that. Listen. Empathize.” Through concerns about healthcare, the Kavanaugh nomination, the economy, and a breadth of other issues, Tabor says he “broke barriers,” busted stereotypes, and made real connections. Tabor learned the art and power of connecting with people across lines of difference while taking part in Gettysburg College’s global study, language-immersion program in Paris (read more about that program) and working abroad for five years in Tunisia, Saudi Arabia, United Arab Emirates, and Kenya. While in Tunisia, the site of the awakening of the Arab Spring in 2010, Tabor learned about the value of the youth uprisings and why revolutions occur and vary across regions. The Arab Spring would officially spread to five other countries: Libya, Egypt, Yemen, Syria and Bahrain. Yet Tabor believes Saudi Arabia is “the untold story of the Arab Spring.” Unlike the other countries where the youth revolted, “the Saudi government brought the revolution to the people,” he said. In the wake of widespread transformation across the region, Saudi Arabia began moving towards progressive changes domestically and enlisted an army of international consultants to help. 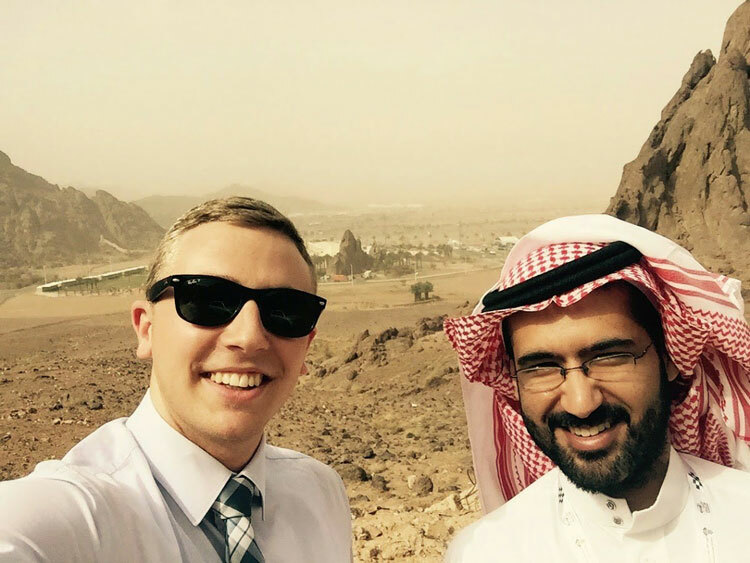 After a brief time working with NGOs in Tunisia, Tabor began working for Numu Consulting, commuting by plane from Tunisia (and later, Dubai) to Saudi Arabia to become a part of this historic moment. Tabor initially focused on youth unemployment issues and then transitioned to work on macro-economic reforms. Specifically, he worked on energy subsidy reform, which Tabor calls “one of the largest economic reforms that Saudi Arabia has passed in the last 50 years,” with an expected savings of $30 billion by 2020. Tabor had to quickly understand the geopolitics and nuances of the region, as well as connect with diverse peoples, in order to be taken seriously. 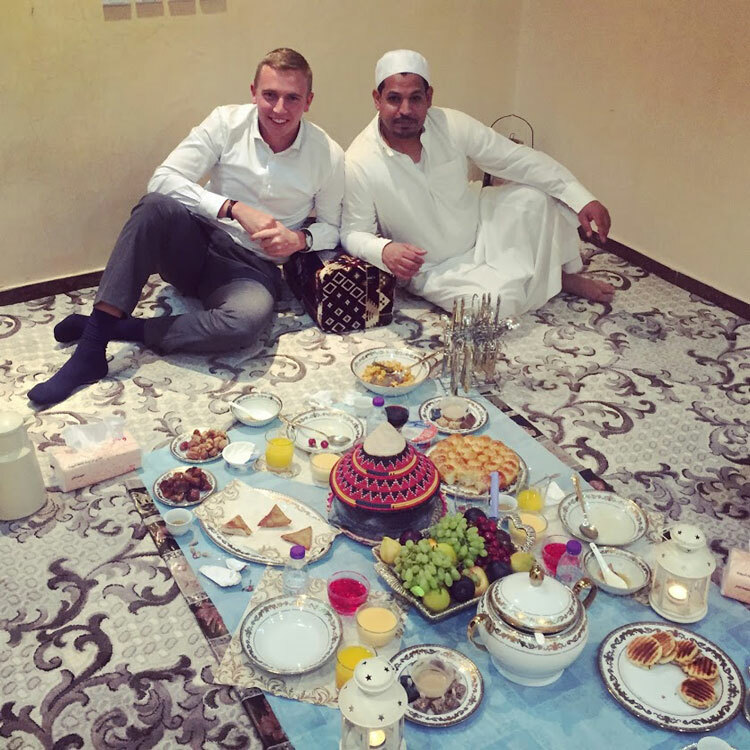 He met with hundreds of Saudis ranging in position—from minister, governor, and prince, to student, Uber driver, and the unemployed. 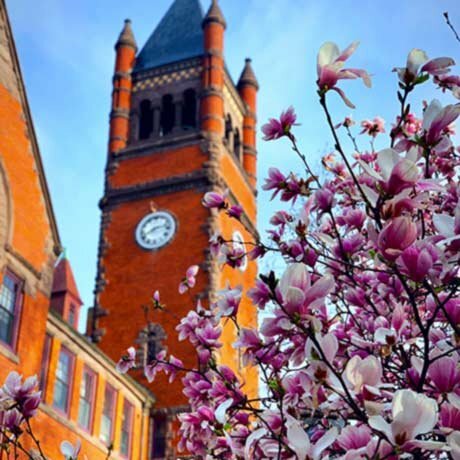 That ability to break down barriers and connect, cultivated at Gettysburg College and honed abroad, prepared Tabor well for his role in the Mikie Sherrill congressional win. Tabor credits Gettysburg College for providing him with the opportunities and support to broaden his horizons, explore the world, and realize his passions.